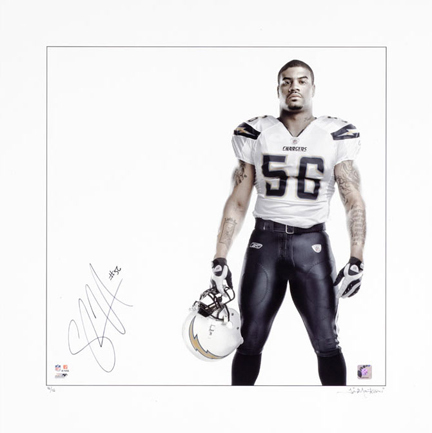 I recently had one on my portraits of Shawne Merriman licensed by the NFL and set up a private signing with Shawne. The 30x30 inch photo is limited to an edition of 56 and we are now excepting orders for the holidays. Prints may be purchased both framed and unframed.If you have questions or are interested in buying one of these images, please call the studio 619-543-9959 or email Chris@mantoani.com.